Placed within the larger framework of American studies, this text is intended to enhance scholarly understanding of the values and attitudes of frontier peoples during the crucial developmental period following the American Revolution by analyzing the evolution of the Freewill Baptist sect in northern New England from 1780-1820. 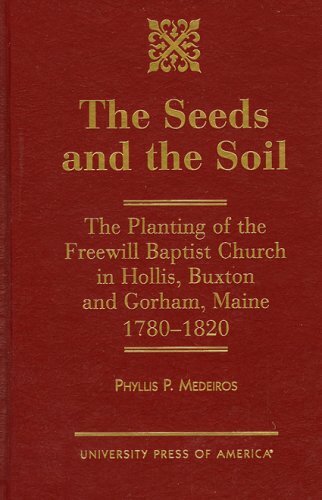 Through an examination of the process of movement building as it applied to the Freewill Baptists, an interpretation of Freewill sermonizing and hymnody, an appraisal of the religious cultures of three southwestern Maine towns, and an investigation of the lives of early adherents in the local churches, new religious patterns can be interpreted. The Revolutionary ideology and the cultural dislocation experienced by the frontier population dictated a new approach to theology and the practice of religion which the leaders of the Freewill movement supplied. Their sermons and their music reflected the new religious populism of the people. The style of sermonizing empowered the people to participate with and critique the clergy. Generally, the appeal of the Freewill Baptist sect lay in its principle of religious empowerment of the people.